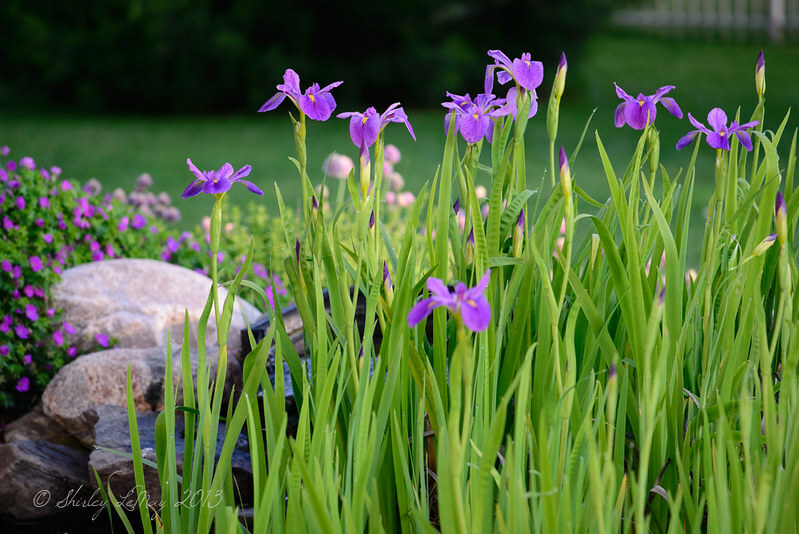 I'm not sure what it is with me and the water iris this year - I am constantly drawn to them. Maybe it's because they have been prolific (and taken over almost half of the pond). Maybe it's the weather - this morning's crisp and cool start, this evening's warm and calm end. I hope you aren't tired of their elegant purple flags. Even though I was running late for work, I took time to capture the scene because I loved the way it looked from inside the house. When the quality of light is just magnificent, I can't help but go out and shoot something! 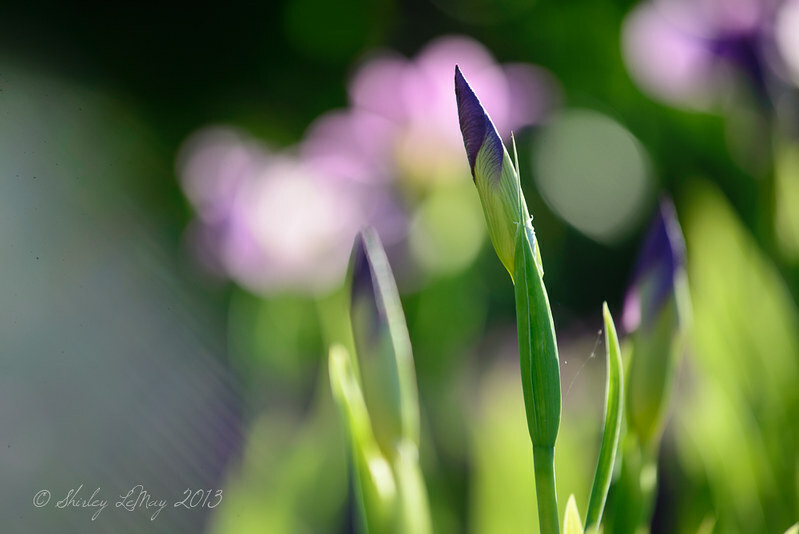 Irises - I love them! Now I know the name of another flower :) They are very pretty flowers. Very pretty, Shirley. 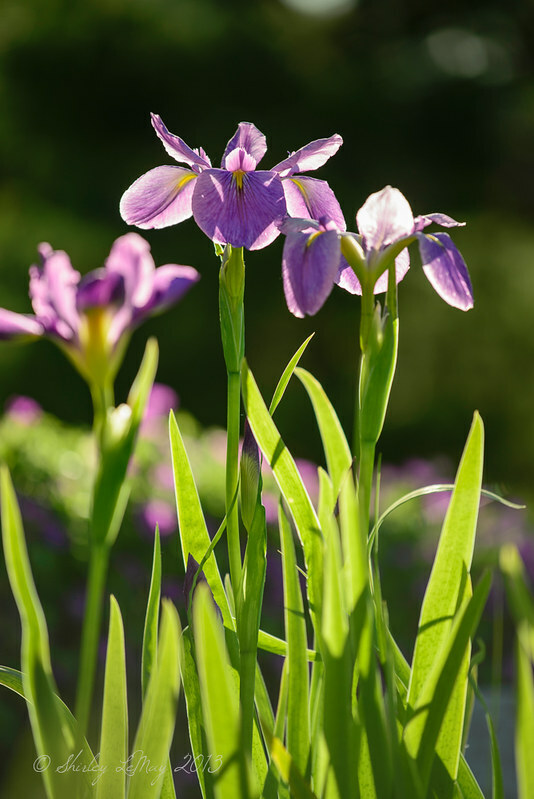 The water iris are neat and your pictures are beautiful. Beautiful ~ LOVE that middle one! They are such delicate flowers, love the final shot! I just love irises! One of my favorite flowers and your pictures are just amazing! These are lovely and never get old. I only wish Irises lasted longer. Gorgeous bokeh on that last one for sure. I love irises. Yours are blooming beautifuly. Mine finally opened. Such a fragrant flower. Beautiful iris! I love the variety of light you have here. Gorgeous! Mine are putting on quite the show too! Very pretty. Ours are in the same place...so close to blooming. It's been so gray and rainy here though, I have no pretty bokeh shots like yoU! I can understand their magnetisim. Beautiful colors and light.